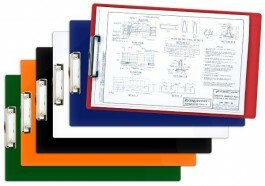 11 x 17 Acrylic Clipboards - GS Direct, Inc. This product is made from a thick 3/16" Acrylic plastic. The board edges are bull-nosed and corners rounded to remove sharp edges. 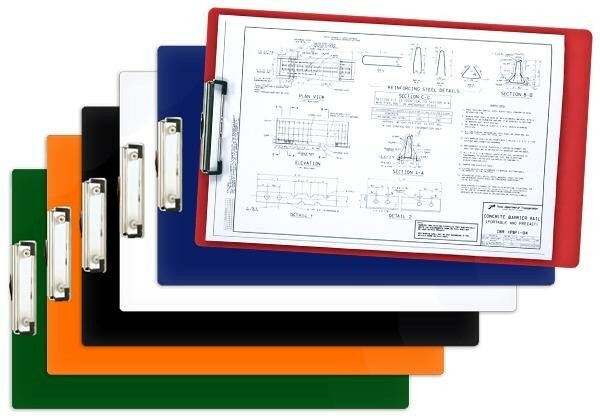 The clipboard features a low profile clip with two rubber traction grips riveted to the center of the 11" side and features a retractable hanging bracket. Made extra long for very smooth and easy writing when at the bottom of the page. Clip Length: 4-5/8" Clip Width: 1-1/8"